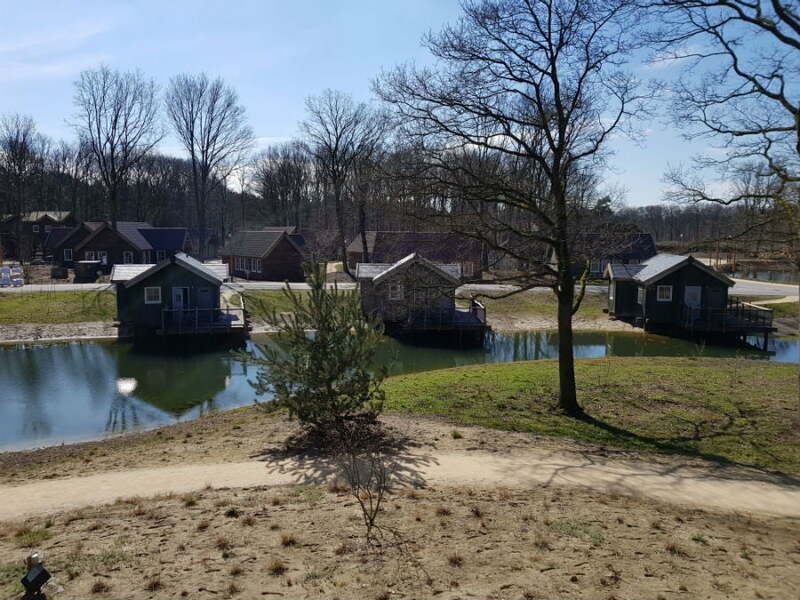 The Holiday Village Efteling Loonsche Land is made up of a family friendly hotel and holiday homes in a nature reserve just 20 minute walk from Efteling theme park in The Netherlands. 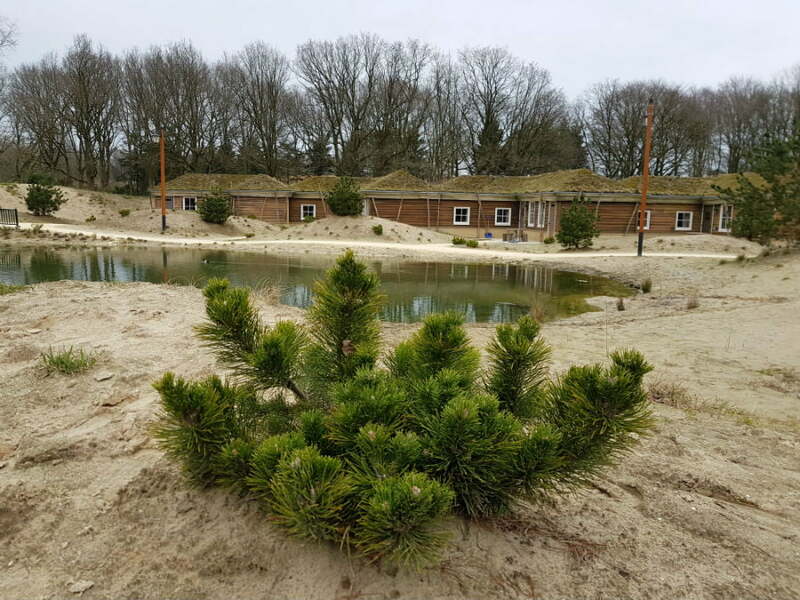 There are sandy playgrounds, lakeland walks, animals to feed and a forest on your doorstep – plus it is just a short walk to the gates of the famous Efteling theme park. 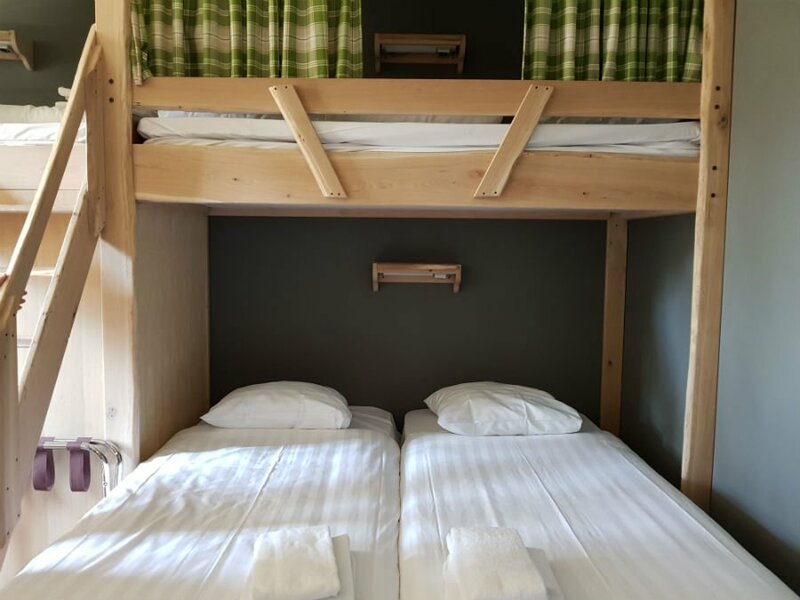 The family rooms at the hotel at the Holiday Village Efteling are really big and spacious, with a large living area, 2 large and very sturdy ‘bunk beds’ and a double bed underneath. There is a large table, flatscreen TV, bean bag for chilling out on, separate toilet and bathroom with shower. Best of all there is a separate sleeping area for parents, so you don’t have to sit in the dark until your little ones have gone to sleep. 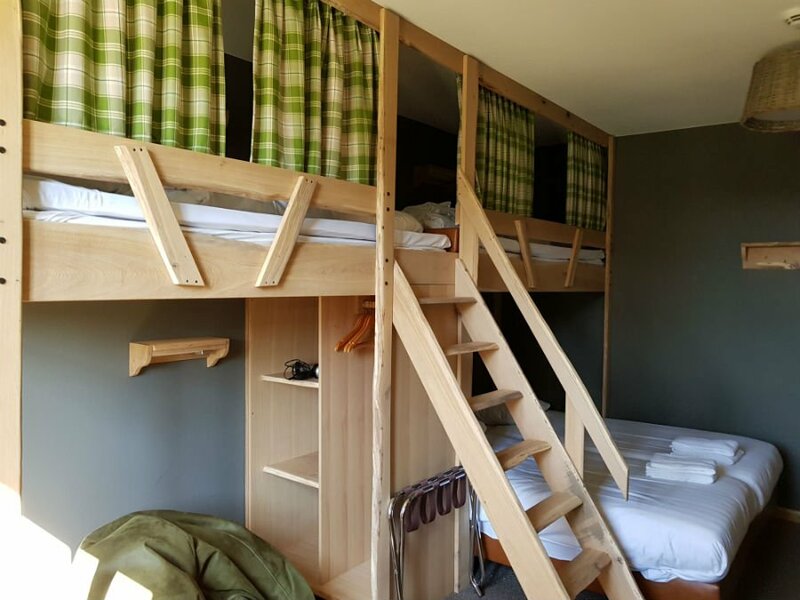 They comfortably sleep 4 – 6 people and have loads of space for luggage, cots and toys. 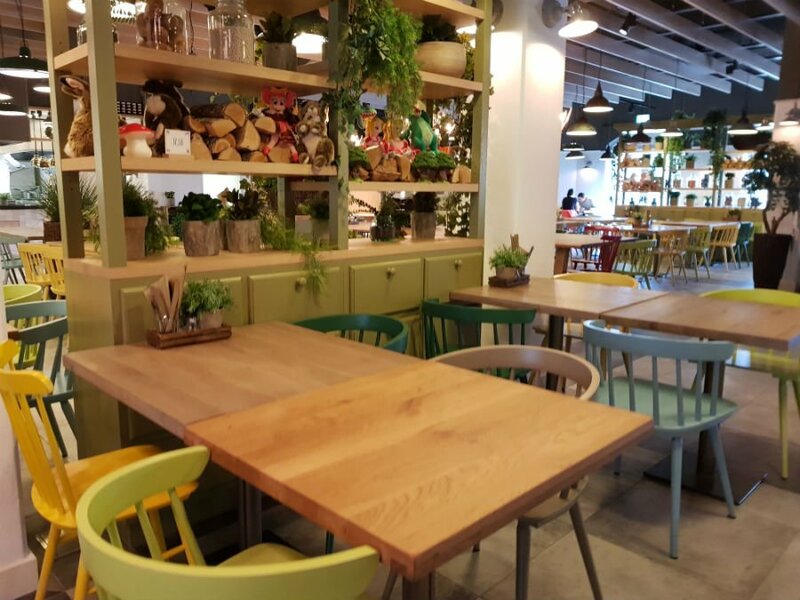 The rooms don’t have catering facilities, but breakfast is included in all stays, and there is a restaurant downstairs which serves a children’s menu. Rooms are serviced daily too. 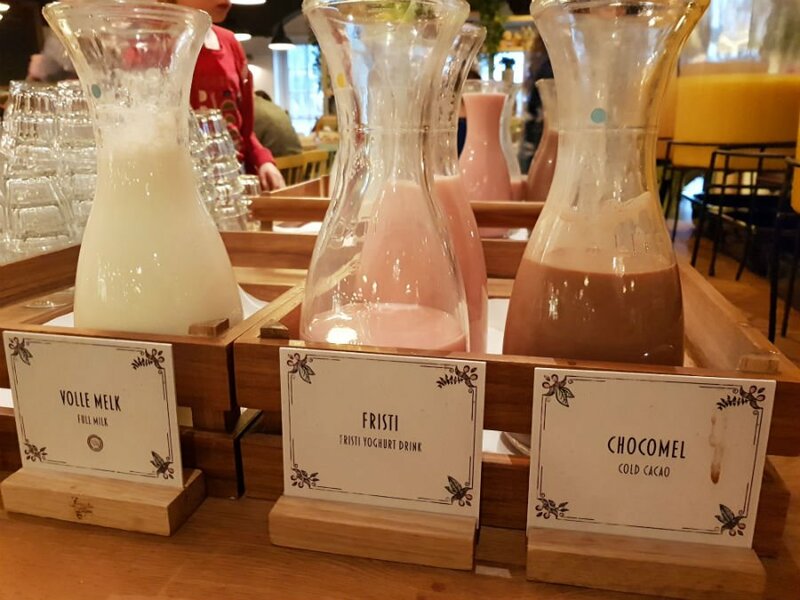 The De Proeftuyn Restaurant serves a fantastic breakfast buffet every day which sets you up for a busy day at Efteling. Serving a variety of warm breads, homemade jam, fresh eggs, cereals, cooked meats and hams, the breakfast at the Holiday Village Efteling village is a real treat! There is also a children’s play area in the restaurant too. 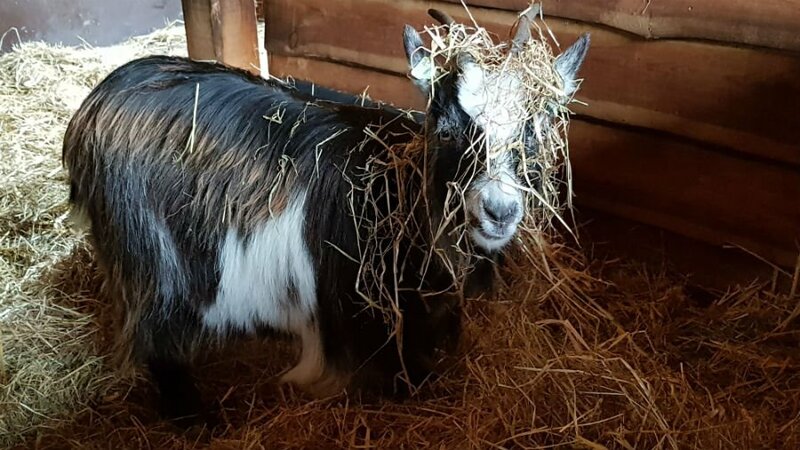 Breakfast is served between 8am and 11am, and you book a 45 minute slot when you want to arrive for breakfast. advantages of staying at the Holiday Village Efteling Loonsche Land. 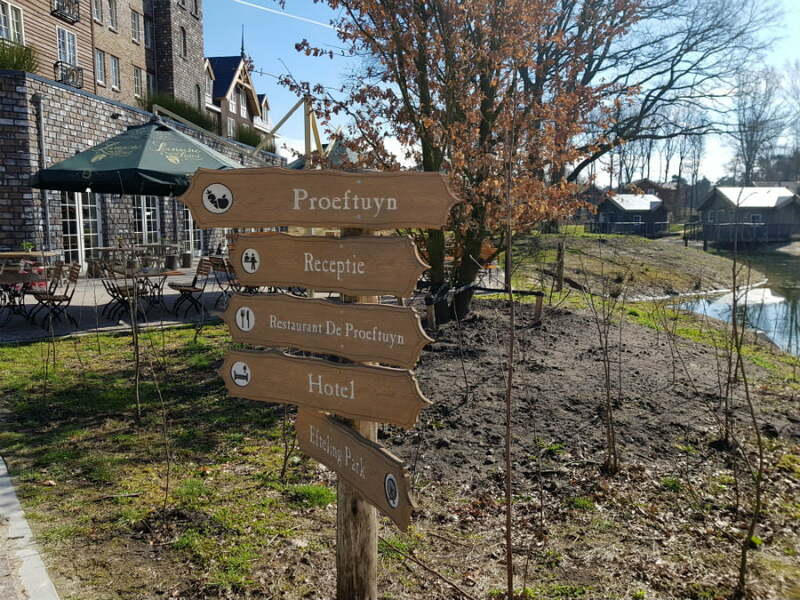 The holiday village is just a 20 minute walk from the Efteling entrance so you can make the most of your day. A road train transports guests there a few times a day in case you want to save your feet for walking around the theme park. Guests of the Efteling Loonsche get free car parking. They also get free bike storage at the park, which is manned so is very safe and secure. The park is only a 5 minute bike ride from Efteling Loonsche Land along a flat road with wide cycle lanes. 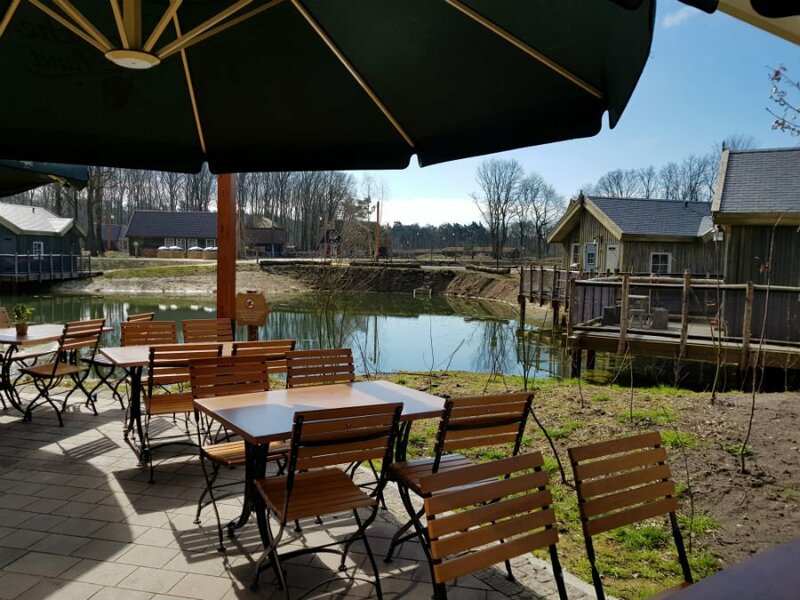 The Holiday Village Efteling Loonsche Land is located in a nature reserve, so there is plenty to do if you fancy time a bit of downtime. There are a number of playground dotted around the village, including a fun water play area with bridges and dams on the lake. 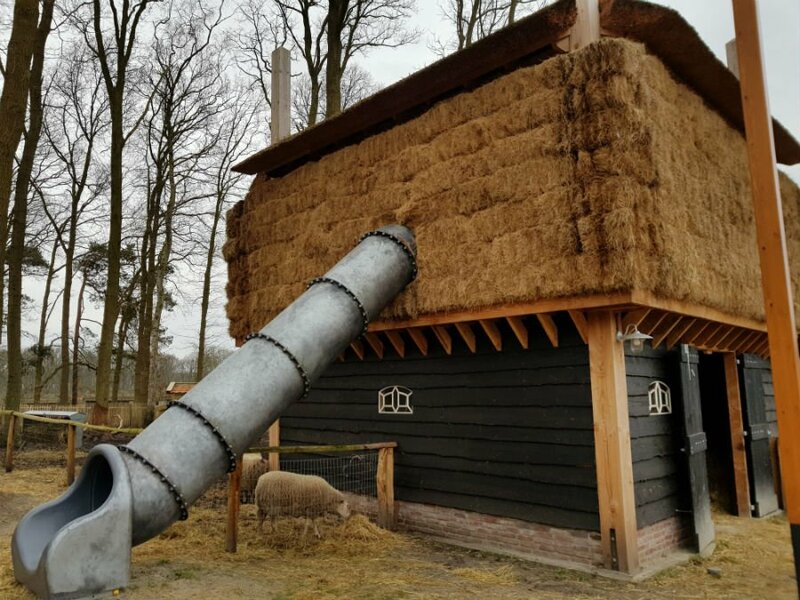 There are also a few farmyard animals which live at the village, with a cool slide from the top of the hayloft! Plus there are areas for den making, and just playing in the forest right on your doorstep. 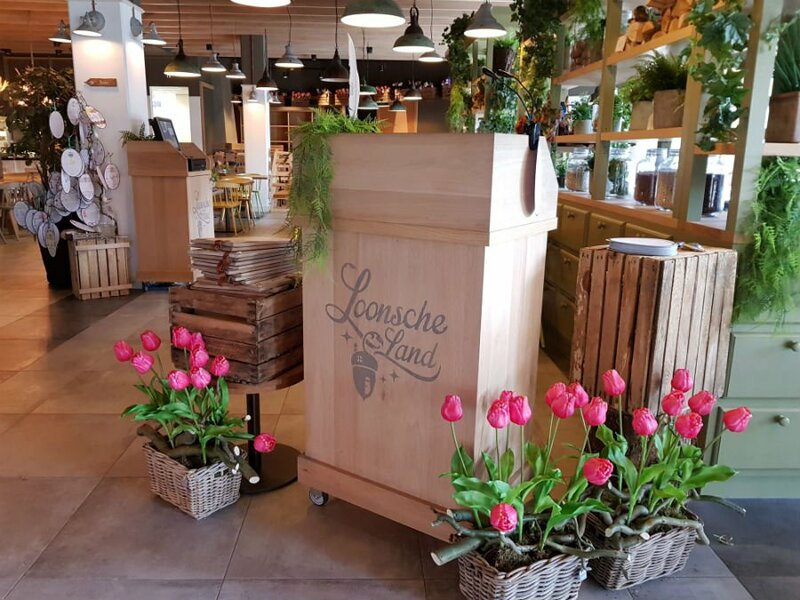 There are several biking and walking trails nearby, and the famous Loonse en Druenense Duinen National Park, with its sand dunes is close by too. 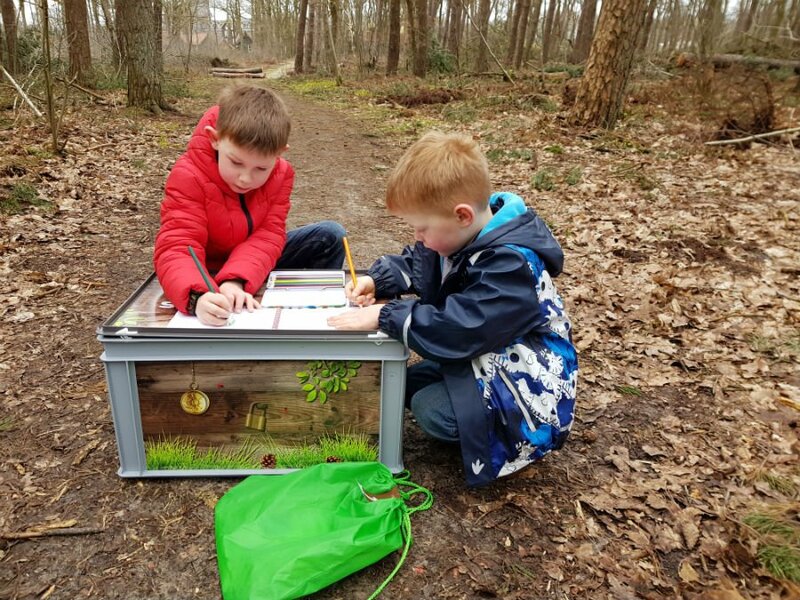 The hotel reception lends out themed Discovery boxes which you can borrow so you can complete the activities and learn more about the environment in your own time. These come in the following themes; Insects, Water and the Forest. 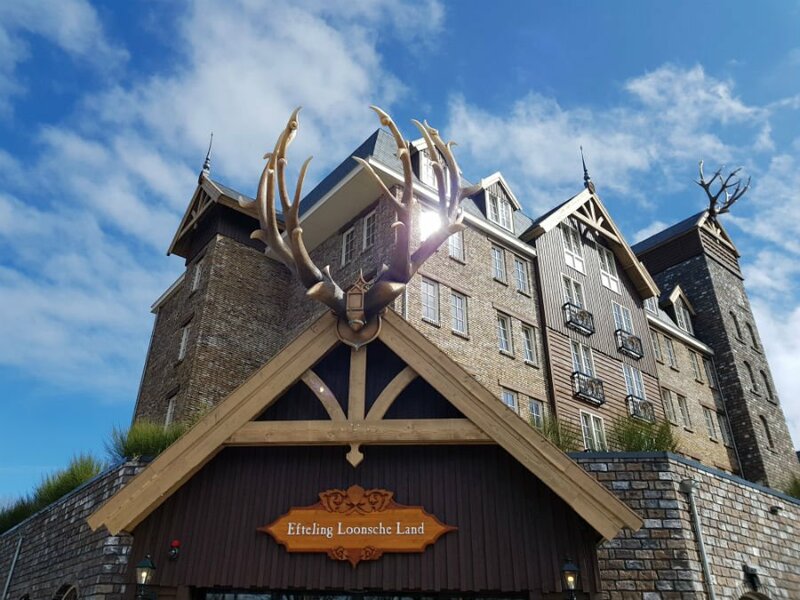 A one night / two day stay in a five person room in the Efteling Village Loonsche Land Hotel costs from €319 (£279) including breakfast. 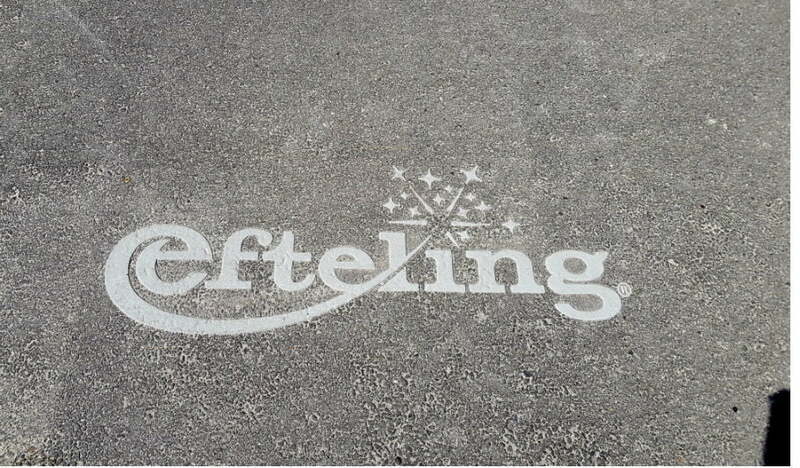 For more information about Efteling Theme Park, please visit www.efteling.com. Cots, highchairs, non-slip bath mats, towels and bedding are provided. There is a free road train which takes guests to the park entrance. The road trains run at certain times of the day so check for times when you check in. 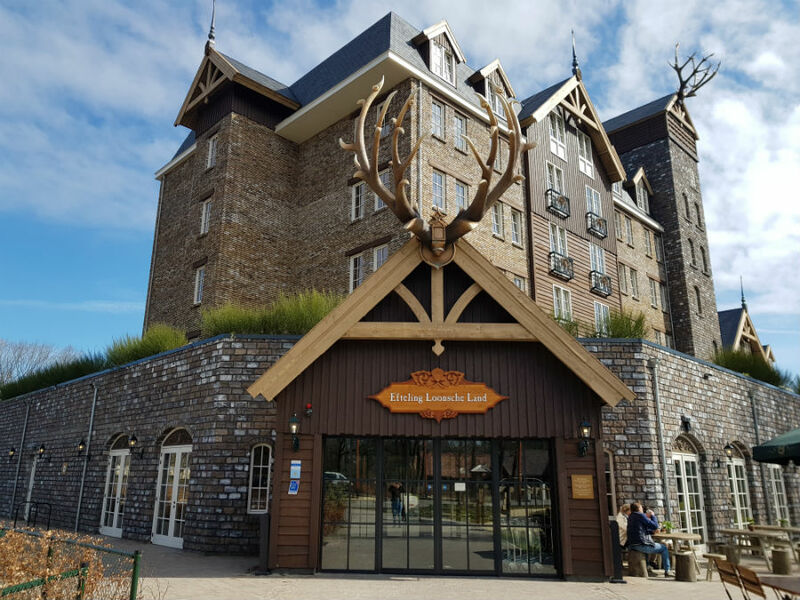 The hotel restaurant gets busy – especially just after the park closes – so make sure you make a reservation if you want to book in advance. Breakfast needs to be booked in advance too. There is a microwave in the restaurant for heating baby food.